Inspire Others to make Positive Change Creating Lasting Change is a 10-day program that will teach you how to transform the thoughts, feelings and actions of others. Discover the psychological principles that have served as Tony Robbins’ foundation for over four decades as he works one-on-one with participants at his live events. Learn to identify harmful patterns in others and replace them with empowering ones to make a profound shift in their life. 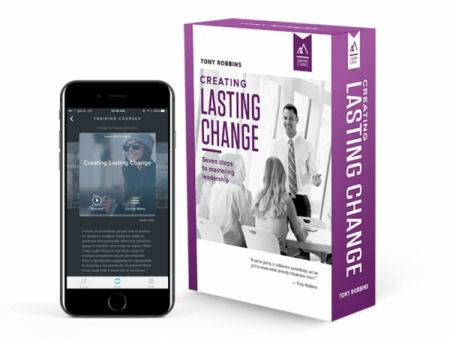 Be trained on the proprietary method – the 7 Master Steps – that Tony created to teach others how to make positive, lasting impact on their team, community and loved ones.